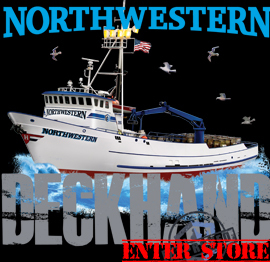 CREW FROM THE “DEADLIEST CATCH” AT PINCHERS CRAB SHACK GULF COAST TOWN CENTER LOCATION AUG. 21! FORT MYERS, Fla. – August 5, 2010 – Pinchers Crab Shack, renowned family-owned seafood restaurant, is hosting a block party at their new Gulf Coast Town Center location with 3 of the crewmembers from the Discovery Channel’s Northwestern: Edgar Hansen – Deck Boss, Matt Bradley – Deckhand and Jake Anderson – Junior Deckhand on Saturday, August 21st. Excited about opening their 8th location, Pinchers wants to celebrate with the community. The event is free, open to the public and will feature live music, a silent auction and festivities for the entire family. Avid motorcycle riders when not fishing, all three crewmembers will be participating in a ride from Harley-Davidson of Fort Myers to Naples Harley-Davidson and ending at Pinchers Crab Shack the day of the event. Participants should arrive at Harley-Davidson of Fort Myers at 2:00 p.m., leaving at 3:00 p.m. The second leg of the ride will leave Naples Harley-Davidson at 4:45 p.m. arriving at Pinchers Crab Shack by approximately 5:30 p.m.
From 5:30 p.m. until 8:30 p.m. at Pinchers, guests will get to mingle with the crew, take photos and participate in a Northwestern “stories from the sea” question and answer session. The Dazzling Delrays will play from 5:00 p.m. to 8:00 p.m. followed by Deb and the Dynamics from 9:00 pm. to midnight. Funds will be raised and split between two causes – Blessings in a Backpack and Jake Anderson’s search for his father. Blessings is a local nonprofit organization feeding area hungry children. Anderson’s father has been missing since January and the funds will be used to continue the search (http://tekcheck.net/html/KeithAnderson/keith.htm). With “you can’t fake fresh” as the company motto and a focus on quality control, Pinchers Crab Shack is the ideal place to enjoy seafood in Southwest Florida. For more information on the new Gulf Coast Town Center restaurant located at 9903 Gulf Coast Main Street, or one of their seven other locations throughout Southwest Florida, please visit their website, www.PinchersCrabShack.com, their Facebook page or chat with them on Twitter. NOTE FOR MEDIA: Edgar Hansen will be available for phone interviews in advance of the event. Please contact Samantha Scott for details and to make arrangements.